Think about your last doctor’s visit. Maybe it was an annual checkup, or perhaps you had a pervasive case of the Mondays. How did that conversation go? Were you able to bring up everything that ails you? Every symptom? Or were you interrupted in the first eleven seconds, handed a prescription or follow up appointment card, and sent on your way? If you’re in the latter group, don’t take it personally. You may be in the unfortunate company of 67% patients who were cut off by their doctor in the span of reading this sentence, according to a recent study published in the Journal of General Internal Medicine. Doctors are busy people, after all. They don’t have time to waste on your theory that you may have that same rash that Arizona discovered on April’s back on Season 12, Episode 2 of Grey’s Anatomy. “Studies estimate that today’s doctors and ‘hospitalists’—medical practitioners who do most of their work in hospitals—spend just 12 to 17 percent of their day with patients,” wrote Megan O’Rourke of the Atlantic in her meta-analysis of first-hand accounts by doctors in 2014. But if you can’t get a word in with your doctor, are you really getting the best level of care? 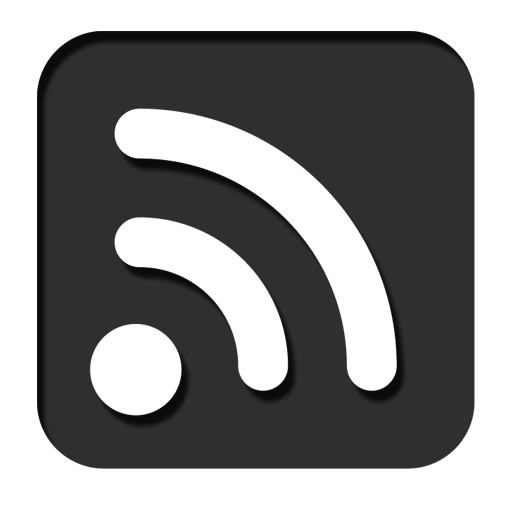 And if you had to show another provider your health records, would they accurately reflect the history of your symptoms? As a youngish, fairly healthy person, I’ve never had a reason to examine my doctor’s notes in my medical records. But as a public benefits attorney, I read and analyze reams of medical records to help prove the disability claims of my Social Security clients. These records are the whole basis for which the Social Security Administration (SSA) grants or denies benefits. Unfortunately, for many claimants these records are more Hemmingway than Tolstoy, and this issue has been exacerbated by the proliferation of electronic record keeping. 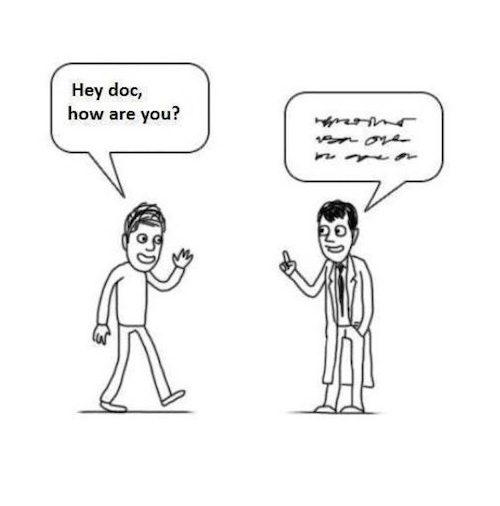 Doctors have notoriously poor penmanship, so one would think that electronic record keeping would help produce more accurate and legible medical records. Instead, it has birthed a host of new issues in Social Security cases, like coded language, copied and pasted records for multiple encounters, and extraneous information about symptoms that have nothing to do with the reason for the visit. For the average well person this is no big deal. But for the single mother who cannot pick up her 18-month old child without assistance from her 12-year old and is “in no apparent distress”, the epileptic patient who carefully manages his seizures by staying inside most of the day listening to soft music with his eyes closed who is “doing well” (with 9 straight months of copy/pasted narrative), and the middle aged woman with debilitating depression who has “no mental health complaints” during her gynecological exam – these lapses in accurate medical record keeping can derail their disability cases. Late last week, SSA held a “National Disability Forum” on Acquiring and Using Electronic Medical Records. I had high expectations for the event as it was being moderated by Kevin Leibkeman, Chief Section Counsel at Legal Services of New Jersey and a highly respected advocate for low-income folks with disabilities. As expected, Mr. Leibkeman eloquently highlighted the issues facing claimants when doctors keep poor medical records. Also, he worked with other advocates to put together a comprehensive and helpful packet of take-home materials for forum attendees. Other panelists gave high level presentations on efforts to streamline medical record keeping and sharing among providers, patients, and SSA. 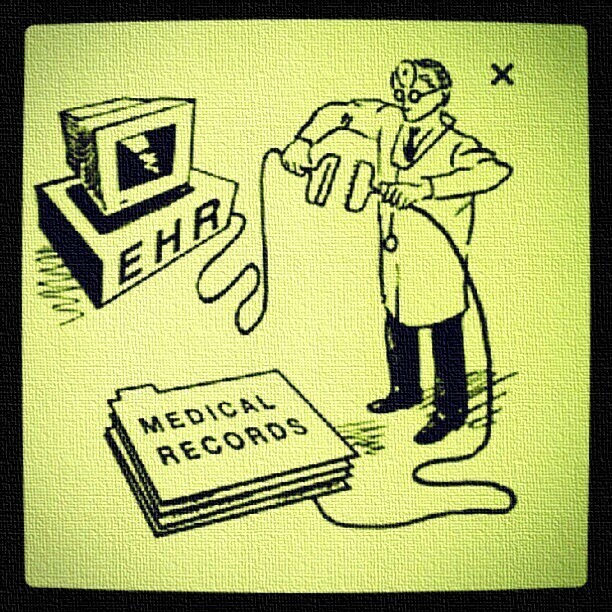 This includes creating a uniform system of record-keeping so that it will: a) be easier to use artificial intelligence to analyze health information and aid in diagnosis and health tracking; b) make records easier to share with whoever needs to make beneficial use of the records; c) make records more secure by using “block chain” technology (it’s not just for paying for coffee at that one hipster café up the street); d) reduce burnout among doctors by making record-keeping technology simpler; and e) give doctors more time with their patients, so they can actually have meaningful conversations about their health concerns. But while SSA is part of the push to improve electronic medical record keeping, to-date it has failed to issue public guidance for adjudicators acknowledging that poor medical record keeping is leading to erroneous denials of disability claims. “Events like this help Social Security secure today and tomorrow for people with disabilities, as well as those who may become disabled in the future,” wrote Bob Patterson, Acting Associate Commissioner, SSA External Affairs, in an email to forum attendees shortly after the event. At Legal Aid, we hope that SSA works quickly to improve the “today” for people with disabilities, many of whom have been struggling for years to have their disabilities recognized but have not been successful due to poor medical record keeping.